If you liked the Monsters SA movie now you can create your own creatures with this fun game. You will have four different ones that can be modified at your whim. The bar under each of them will serve to change its original color. 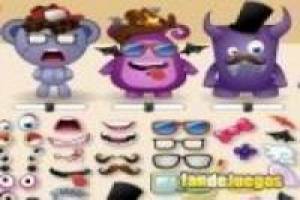 In the lower part you will find various elements such as eyes, mouths, hats, hair, glasses and many more accessories to create your funny monsters with them. You can make as many combinations as you want to create the one you like the most. When you have it ready we will go to the next screen where we can create a scene, choosing a background and a building that accompanies them from behind. Take out your creative side with these funny monsters. 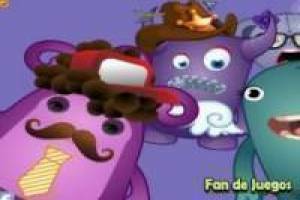 Enjoy the game Create funny monsters, it's free, it's one of our create characters games we've selected.